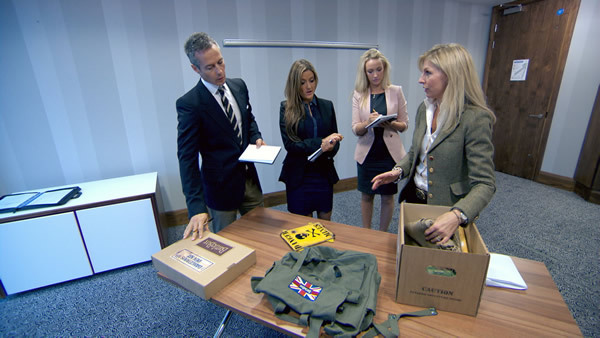 It was a double firing in episode 7 of The Apprentice as Lord Sugar dispatched both Natalie Panayi and Kurt Wilson after Team Endeavour lost the Caravans Task. Recruitment Manager Natalie Panayi, 30, from Rickmansworth had her first win last week but had already been warned by Lord Sugar that he didn’t want to see her in the boardroom again. He was true to his word and fired her. 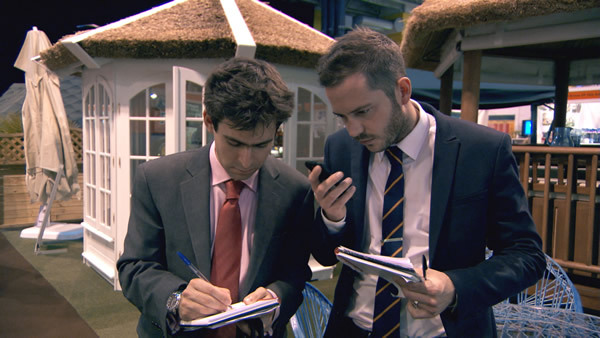 The task started off in the early morning at the Tower of London, where Lord Sugar briefed them on this week’s challenge: to sell products at the Motorhome and Caravan Show at the NEC in Birmingham. 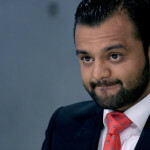 There was a little impatience in Lord Sugar’s tone and the candidates were left in no doubt that they all had to sell. Each team had to listen to supplier’s sales pitches and select a star high value product to offer at the show along with two support products. We know from previous years that in this type of task the team have to build good relationships with the suppliers as often the best suppliers get to choose which team will represent them. With Team Evolve down to four members super-motivator speaker Neil Clough was transferred from Endeavour to balance the numbers. He also volunteered to project manage the task. The teams went off to review some of the support products including a chair and a roof rack boat. Myles immediately grasped the idea that he had to be enthusiastic with the suppliers. However the overall Team Endeavour reaction wasn’t so positive and Natalie Panayi and Leah Totton probably pushed the suppliers too hard on price. As a result the two product that both teams wanted: an electric bike and a kids camping kit went to the other team. So it was a head start to Team Evolve. In the meantime Team Endeavour had to go with a chair with a canopy and a rooftop boat. Jason and Neil at Team Evolve went for a folding caravan as their star product, as they identified that it had the highest sales so far of any of the products. Meanwhile on Team Endeavour, Alex and Kurt decided to go with a bespoke retro camper van which looked a little too specialist and seemed to appeal to a younger audience. Jason, much to Neil’s surprise, threw himself into selling the collapsible caravans. Jason is very personable and built up good rapport with the more mature visitors (that’s the ones with the money). He also managed to sell a caravan. The support products needed some demonstration so Natalie took to the seas (well the carpet) to demonstrate the roofbox boat. Meantime Kurt was getting desperate as there had been no sales of the bespoke retro-camper so he called for Leah to be sent over as “eye-candy”. Not exactly politically correct. However Leah nearly made a sale in the hour she had on the stand! Team Endeavour sold £1,479 of accessories but none of the retro campers: Total sales £1,479. So Team Evolve walked it and went off to meet Sir Chris Hoy on the bike track at the Manchester Velodrome. Meanwhile Kurt and Team Endeavour went off to lick their wounds from “this total annihilation” (Alex’s words). Kurt Wilson decided to take Natalie Panayi and Alex Mills back into the boardroom. Alex because he pushed the retro-camper product and Natalie because she scared off the electric bike supplier. 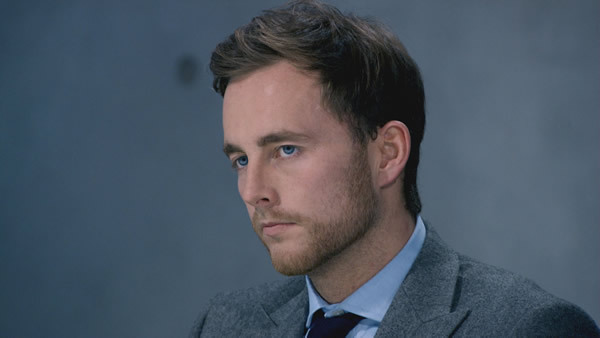 Natalie accused Kurt of being tactical by bringing her back, knowing she had been warned by Lord Sugar that he didn’t want to see her in the boardroom again. Kurt did admit that he chose the wrong product which was his responsibility. Kurt was rightly fired as he had messed up on the task, deciding to choose products based on his gut feel rather than on looking at the sales figures. Natalie may have thought she was safe after Kurt was fired but she did not escape. Lord Sugar thought that Natalie had not performed so far in the process so he decided to fire her as well. So it was goodbye to Kurt Wilson and Natalie Panayi. Eight candidates remain and Lord Sugar’s search for his business partner continues.